Navigating the world of commercial real estate can be confusing even for seasoned leaders. We invite you to peruse the information and insight posted below, we share it with the goal of helping educate your team, and helping you make the best decisions for your organization. Whether or not you’ve decided that a real estate transaction may be the right option, it’s good to understand how to best position your church for success. We’ve captured the 5 most critical considerations for church leaders. The issue of housing costs is of particular importance for public school districts to recruit and retain high-quality employees. 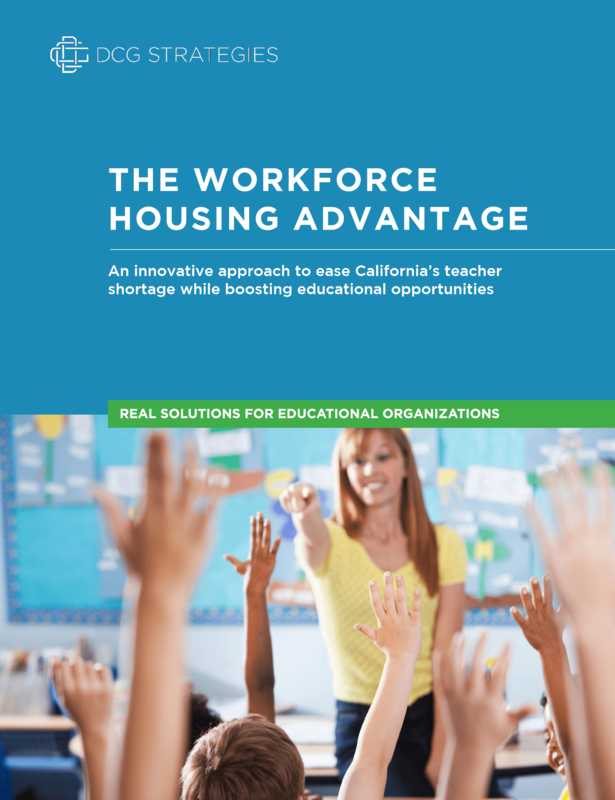 This guide helps leaders explore the option of developing teacher housing in their district. The economic boom has many nonprofits concerned about the real estate market having a negative impact on their long-term sustainability. This guide offers advice as you weather the challenges of the Bay Area market. Having worked with faith leaders across the state, we understand the constant pressure for your time and attention. 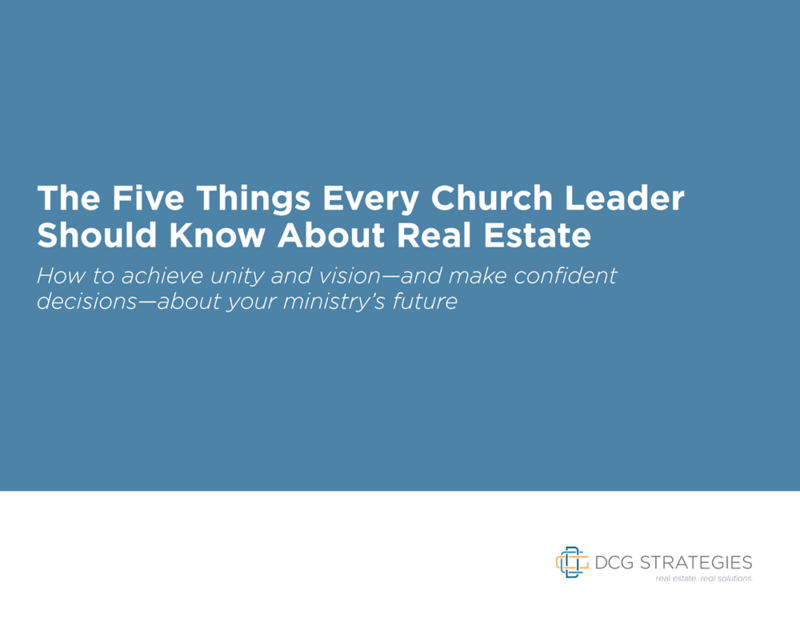 As such, we have created a Church Leadership Series as a resource for our clients, to help you understand in greater detail the important role your real estate assets can play in helping meet your ministry goals today and into the future. Whether your ministry is growing or contracting this is a can’t miss session to equip you with valuable information that will help position you to make wise decisions about the future. If you are exploring the use of church property to develop affordable housing for ministry staff, seniors, veterans or other groups, articulating your vision can be easier than executing it. The process is complicated and fraught with unknowns. Developers often have their own agenda, and commercial brokers don’t have the time or expertise to understand how to blend your ministry with their real estate objectives. In this complimentary webinar, church leaders will learn how to make long-term strategic decisions that are right for your community and your finances. Sign up now to be notified of the date and time of our next events. If you have a topic you’d like to see DCG explore as part of the Series, please send us your ideas here. State colleges, school districts and other educational organizations have unique needs when it comes to commercial real estate. Not only are you thinking about asset management, but you’re also weighing the needs of your school, students and their families, and the surrounding community. Here, the commercial real estate professionals at DCG Strategies answer the most frequently asked questions we hear from our education real estate clients. If you have any issues that are not addressed below, please feel free to contact us for more information about our services. Is a school property considered “commercial property”? Yes, in the sense that it isn’t residential. However, educational organizations like school districts or state colleges certainly have different needs compared to the typical commercial real estate transaction. For this reason, it’s extremely important to look at your long- and short-term goals before making a final decision about any school property. Can proceeds from the sale of school property be added to my district's general fund? No. While there have been exceptions made by the State in the past, currently proceeds are almost exclusively only allowed to be utilized for capital needs. Proceeds from lease revenue however can be added to a district’s general fund. Can DCG help us with the 7-11 committee process? Yes, any one of our team members can manage a range of public engagement and communication campaigns to help schools and educational institutions comply with relevant codes and successfully navigate the committee process. The State of California Education Code requires the formation of an advisory committee of no fewer than seven and no more than 11 members to discuss surplus property or real property prior to that property’s sale or lease. There are changes each year to when a surplus committee is required for disposition of property so be sure to reach out to us. How does a school district acquire new property? Before acquiring new property, a school district must have a comprehensive master plan in place that outlines the intended use and budgets for the new property. A site selection team of appropriate stakeholders is formed to help determine the site of the new property and make recommendations to the school board. The process for acquiring new school property is transparent, engaging the public as well as governmental agencies or other affected parties in the planning process. Once a site has been chosen, it must go through a regulatory process for state approval. During the regulatory process, the school district must provide the state with specific information about the characteristics of the proposed new property. These characteristics are identified through thorough research by staff or consultants. What is the difference between an “as-is” appraisal and a full feasibility study? An “as-is” appraisal estimates the value of a property at that moment in time, while a full feasibility study evaluates the value of a property based on future potential, looking at all possible uses. Feasibility studies examine the property as well as opportunities offered by its surrounding environment and resources, taking into account any successful business ventures that could be developed at a later date. Is teacher and staff housing an option for my district’s property? Absolutely! More and more districts are looking into how their underutilized real property can be re-purposed into a recruitment and retention tool by developing rental housing for employees on-site. While there are a number of complexities to wade through, it can be a unique tool to support your district over the long-term and a source of recurring lease revenue. Navigating the world of commercial real estate can be confusing for churches and faith-based communities, so you can certainly benefit from having brokerage services that are tailored to meet the unique interests of your community-based organizations. The expert team at DCG Strategies is happy to answer any questions you may have as a faith-based community with any concerns related to commercial real estate. While many of our clients’ most commonly asked questions are listed below, we also invite you to contact us for more information about our church real estate services. Is church land considered “commercial property”? It depends on the zoning laws where the church is located. There are three main types of zoning: residential, commercial and industrial. A church refers to a place of worship, and can include temples, mosques and synagogues, as well as related faith-based associations such as seminaries and mission organizations. Although churches and their related associations are nonprofit, tax exempt organizations, the property may be located in a commercial zone, and therefore considered commercial. What zoning applies to church land? Churches fall into a special zoning category as special use property. With the special use permit, churches can be located in either a residential neighborhood or a commercial district. Although churches and religious organizations are regulated by similar zoning laws as other organizations, they have been afforded special protection due to past zoning ordinances that sought to prevent churches from inhabiting certain areas. In 2000, Congress passed The Religious Land Use and Institutionalized Persons Act (RLUIPA) to protect churches and religious organization from zoning ordinances that would target churches for different or unfair treatment. If our property is rezoned, will it be worth more? It depends on how the property is rezoned. Rezoning can either increase or decrease a property’s value, as the value of real estate is dependent on what can legally be done with a property. In many instances, if a property is rezoned from residential to commercial, it can yield more value. Can we control how our land is used after it sells? Yes. You can enter into a contract with the individual or group who purchases your land. This contract, sometimes known as a real covenant, can require the future owner to only use the land as permitted in the contract. A real covenant can impose restrictions on how the land may be used after it is sold. How do I know if my church should buy or lease? A number of factors must be evaluated to determine whether buying or leasing is the better option for your faith community. Questions to consider include whether your budget allows for periodic rent increases, whether you would have to finance the majority of a purchase, and if so, could the down payment be raised through a church capital campaign. Additionally, you would need to consider how financing a sale could impact the church’s existing ministries. What are our options for housing our pastor in a parsonage or manse? When clergy housing is designated, the pastor determines the amount to be set aside for the housing allowance, which must be approved by the church finance committee. The church must pay for the cost of all utilities and repairs for a parsonage or manse. Congregations with clergy housing are recommended to also provide a housing equity allowance and a furnishing allowance. A housing equity allowance gives a retiring pastor the opportunity to purchase a home and a furnishing allowance covers of household expenses. These allowances are designated by the finance committee. For social security purposes, a fair rental value of clergy housing must be evaluated by an objective third party. Whether looking for work space or wondering about the best way to handle valuable but underused property, there are plenty of questions surrounding the commercial real estate needs of city and county bodies of government. The professional team at DCG Strategies works closely with community-based clients, including government agencies, to find the commercial real estate solution that works best for meeting the goals of your organization. If you find that you have any questions that aren’t answered below, please contact us for more information. Is public property considered “commercial property”? There are three primary types of real estate zoning: residential, industrial and commercial. Almost any kind of real estate that is not intended for single family use (residential) or for manufacturing and production (industrial) can be considered commercial property. In that sense, government-owned property is considered commercial. Can proceeds from the sale of public property be added to my city or county's general fund? Yes. If your municipality has the opportunity to sell property that’s no longer needed for public use, the proceeds may be added to the general fund, provided that doing so is in accordance with your governing statutes. Public property may include land, buildings, vehicles or other items. Can public property be rezoned or repurposed to increase its value? Yes. Zoning determines the value of land. Rezoning or repurposing property to reflect changing demographics, redevelopment strategies, or other emerging realities can help public property maximize its value. How does a local government acquire new property? Local governments can acquire new property several ways. Property can be given via charitable donations, foreclosed properties can be seized by the government, or properties can be obtained through eminent domain, a law that allows for the procurement of private property for public use. Through eminent domain, local governments can take private property in return for just compensation at fair market value, as long as the property promotes a public purpose. Why are appraisals so important for public land? Appraisals determine the fair market value of public land. This is important because listing public land at its fair market value enables a competitive (and reasonable) price with similar commercial real estate listings for sale. With all the special rules that apply to non-profit organizations, it’s only natural to wonder how many of those apply to commercial real estate, starting with whether a non-profit is allowed to purchase property at all. Below, you’ll find many of the questions that our non-profit clients frequently ask our real estate experts at DCG Strategies. For any issues not addressed here, please don’t hesitate to contact us for more information about our commercial real estate services. Is a non-profit facility considered “commercial property”? Buildings themselves do not have non-profit status, only the organization or business associated with owning a property. Depending on the community that the non-profit is located in, some non-profits may be zoned as special districts, but may also be zoned as residential or commercial. Why are appraisals so important for non-profit property or facilities? Appraisals determine the fair market value of your non-profit’s property and facilities. 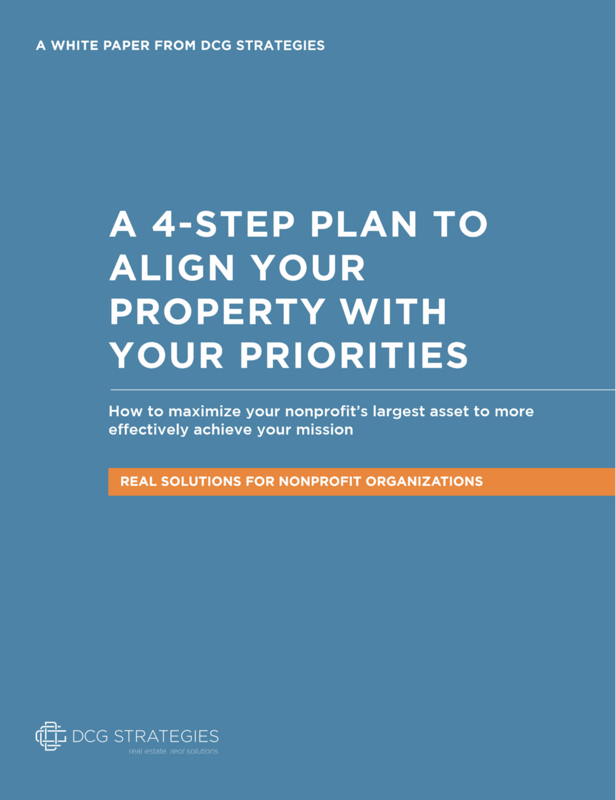 This evaluation allows your organization the opportunity to list at a competitive price and offer a reasonable profit, as well as determine the value of a real estate donation (either given or received). Yes, the sale contract can mandate how the seller uses the land after the sale is finalized. Sometimes this is referred to as a real covenant, which imposes restrictions on future property use. How do I know if our organization should buy or lease? The decision between buying or leasing depends on several different factors, including your budget and vision. For example, could financing a purchase negatively impact the long- or short-term goals of your organization? In that case, leasing may be the better option. Can outside advising help an organization make a real estate decision? Absolutely. 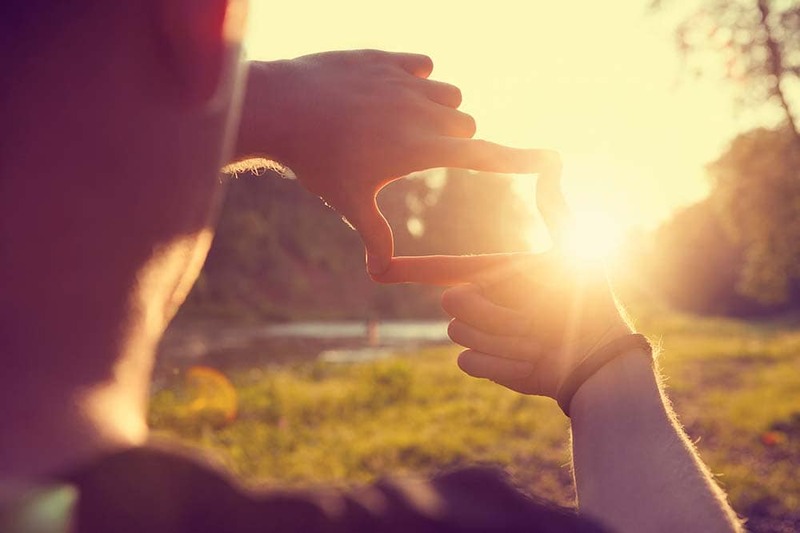 Outside advising can benefit organizations, providing objective perspectives coupled with relevant market research, specialized knowledge and experience.